Not sure why tourmaline and ionic are important in a hair dryer? What the heck is the cool shot button for anyway? You might be surprised to learn how much hair dryers have evolved in recent years, and picking up a professional dryer can make all the difference in your styling routine. The Sedu Revolution Pro Tourmaline Ionic 4000i Hair Dryer reduces styling time with its powerful motor and ionic generation switch lets you choose if you want more volume. Professional hair dryers such as the SuperSolano The Original contain ceramic components which help to reduce frizz and leave hair smooth and shiny. In this guide, we’ve straightened out all the details you need to know in order to choose the very best dryer for your ‘do. 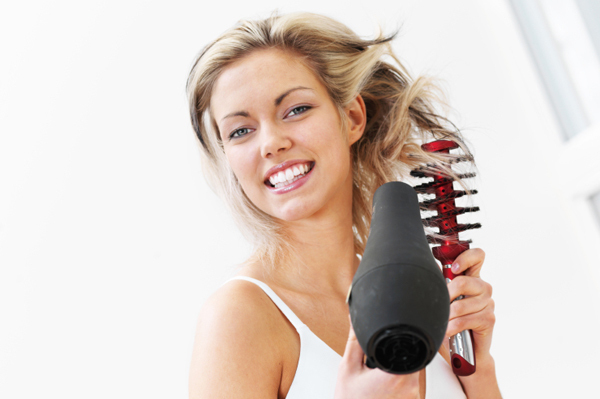 Basically: the more often you use your hair dryer, the more important it is that you own a high quality one. Professional dryers like the BabylissPro Nano Titanium Portofino 6600 Hair Dryer is designed with ionic generator and quality titanium grill conditions hair for shiny, smooth results.